In the Winter War of 1939, USSR air force went to war believing that aircraft matters more than pilot; as a result, they ended up with a kill:loss ratio of 1:6 against Finnish pilots flying the Brewster Buffalos, which was one of worst fighter aircraft at that time, despite Soviet air force outnumbering Finnish air force 9:1 and being equipped with modern fighters such as I-16, Yak-1 and LaGG3. Difference was that Finnish pilots flew far more than Soviet ones. In Korean War, F-80 was at disadvantage due to MiG-15s higher cruise speed; it could defeat bounce by MiG-15 if it saw it in time, but entrance of MiG-15 forced faster introduction of F-86 in theater. F-86 achieved 10:1 exchange rate over MiG-15 primarly because only small number of MiG-15 pilots – presumably Russian instructors – showed agressiveness and competence. Still, MiG-15s simple, reliable and sturdy construction meant that while more experienced US pilots easily got into position for a gun kill, F-86s .50 cal machine guns were unable to inflict enough damage to actually shoot down the aircraft, and 80% of kills achieved by F-86 were simply mission kills and not shootdowns; many MiG-15s were quickly back in combat after being “shot down”. One of main disadvantages of MiG-15 pilots, aside from being less trained, was that they were usually under close control. Airframe performance wise, MiG-15 had superior instanteneous turn rate but tendency to spin at higher angles of attack limited its usefulness to average pilot. Lack of hydraulic controls meant that MiG-15 had lower roll and pitch rates than F-86, increasing time to transit from one maneuver to another, and its worse cockpit visibility meant that it was in danger of surprise bounce. While MiG-15 had heavier armament, lower muzzle velocities lead to reduced lethality, though effect was negligible compared to impact that skill of pilots caused – research done after the war points to the F-86 having kill:loss ratio of 1,3:1 against Soviet-flown MiG-15s, and Soviet MiG-15 pilots – wholse procedures for confirming the kills have been more rigorous than US ones – point to a 4:1 ratio against US aircraft. As a result, it can be concluded that kill:loss ratio between Soviet MiG-15s and US F-86s was around 1:1. In Vietnam, F-4 was at disadvantage against MiG-15 and MiG-21 as its large size and smoky engines prevented it from achieving surprise, and MiGs could launch a surprise attack without being identified or even seen due to the smaller size and less smoky engine, sometimes from maximum range of their missiles (which themselves were IR based). In fact, F-4 had kill/loss ratio of 1:3 early in the war and probably 1:1 overall (April 1982 study “Comparing the effectiveness of air-to-air fighters” by Pierre Sprey indicates 2:1 kill:loss ratio fo F-4, and Russian records indicate 103 F-4s shot down by MiG-21 in exchange for 53 MiG-21s lost. As pilots tend to overreport successes due to confusion of combat – mistaking damaged enemy aircraft or one going low to avoid attack for a shootdown, for example – actual exchange ratio was likely near parity). In summer of 1972, air-to-air combat resulted in loss of 12 MiG-21s, 4 MiG-17/19 and 11 F-4s, for a kill/loss ratio of 1,4:1 in favor of Phantom. It should be noted that this was late in the war when F-4s would have better kill/loss ratio than early in the war due to far better dogfight training pilots were recieving late in the war, and thus points to overall parity in exchange rate. Robert Dorr, an aviation expert that researched NVAF records (USAF records are well known) found evidence that MiG-21 scored almost 2:1 against US fighters in the aerial combat. But performance of complex weapons was far from stellar. Out of 56 radar-guided missile kills achieved, 54 (96%) were initiated and scored within visual range. In total, there were 597 radar-guided missile shots, of which 61 were made beyond visual range. Total of 56 kills were achieved, of which 2 at beyond visual range – one of which was a friendly kill against unaware F-4. As a result, radar missile kill probability was 9% in the entire war, 3% total at BVR and 2% at best against a competent and aware opponent. Both BVR kills happened in 1971-1973 timeframe; in that time, there were 30 radar-guided missile kills from 276 shots for Pk of 10,9%, of which 2 kills from 28 shots at BVR, for Pk of 7%. Improvement in performance of missiles in that timeframe can be linked to improvement in training, a statistical fluctuation or a mistake in data avaliable to Col. Highby, as Sprey’s study indicates that no radar-guided missile achieved Pk above 10%, with AIM-7E2 achieving 8% Pk, similar to AIM-7D. It is also interesting to note that, despite OV-1B having radars capable of recording imaginery with radar, this capability was never used in the air combat to allow safe BVR IFF. In both 1967 and 1973 wars, Israeli visual-range Mirage III fighters – a 1950s technology – achieved 20:1 or better exchange ratios against Arab MiG-21s, primarly due to better pilots but also small size and good agility – which made it preferred platform for Israeli pilots. Difference was however that Israeli pilots flew in excess of 200 hours per year, and Arab air forces averaged only 70 hours per year – and even that was spent on unrealistic training. Similarly, in the 1971 Indo-Pakistani war, Pakistani visual-range-only F-86s achieved better than 6:1 exchange ratio against Indian supersonic MiG-21s, Su-7s and Hawker Hunters, in good part due to its small visual signature and good cockpit visibility. Only Indian fighter that managed to match the F-86 was also subsonic Folland Gnat, which had advantage of being the smallest fighter in the war. In earlier 1965 war, Gnat also had advantage over F-86: even Pakistani sources credit it with 3 F-86 kills for 2 losses to the F-86, while Indian sources credit it with 7 F-86 kills. It is interesting to notice that in four Cold War conflicts, 69 of 73 kills were achieved within visual range. All four BVR kills achieved were specifically staged outside the main combat to avoid fratricide; even so, one of these was a friendly kill, with an F-4E being the victim. In total, BVR Pk was 6,6% (4 kills in 61 shots). As for radar-defeating stealth, both British and French have confirmed that B-2 and F-117 are visible to ground radars; reason they were invulnerable in Iraq was two-fold: first, Iraq had easily the most incompetent military on the planet; second, they both flew only at night, a far safer time than day. And despite AWACS and advanced IFF systems, only way to reliably tell friend from foe is a visual identification, or identification of enemy’s emissions. For an example, in 1994 two US Air Force F-15s fired on two targets which AWACS had identified as Mi-24 Hind helicopters. It turned out that helicopters shot down were USAF Blackhawks full of US servicemen and civillian Kurds. This is not the only shortcoming either – while AWACS does improve coordination and BVR IFF capability, it would cease to exist few hours into a major war. Similarly, in exercises, US Air National Guard pilots have always performed better than USAF pilots despite using hand-me-down equipment up until receiveing F-16. This was because ANG pilots were better trained than USAF ones. In the 1950s and 1960s, USAF and USN held exercises with other NATO members. Canadian F-86 Mk.VI performed better in exercises than USAF-flown supersonic jets. In 1959 competition at Cadeaux, France, at time when many USAF pilots still had combat experience, USAF Central European team participated in competition against teams from Britain, France, Belgium, Netherlands and Canada. Canadian pilots won, with US pilots ending solid last. In 1966 exercise in France involving supercarrier USS America, French pilots decimated US Navy aircraft by using innovative tactics. They started the exercise by engaging US aircraft just as they were recovering, flying low to sneak up on the carrier completely undetected and then decimating US jets and retreating before next wave could launch; and things did not improve for US Navy after that. Against supposedly most capable air superiority fighter in the world, F-22, German Typhoons achieved 4 kills in 8 fights, and French Rafales achieved 0 kills and 1 loss in 6 fights. Primary differences were that, while Rafale is the most capable dogfighter out of the three, F-22 and Typhoon pilots trained primarly for air-to-air, and Rafale squadron that dogfighted with F-22 was oriented primarly towards the air-to-ground work. All of this shows how self-deluding it is to negate the decisive impact of pilot skill on weapons’ performance, thoroughly debunking theory that it was USAF advantage in long-range radar-guided missile that decided the outcome of aerial combat in both Gulf wars. Weapons also have to be resistant to enemy countermeasures; here, gun scores the best, followed by IR missiles. Primary countermeasure to gun is maneuver to defeat a firing solution. Missiles can also be defeated by hard maneuvers, but there are other countermeasures as well. Earlier IR missiles were vulnerable to be decoyed by flares. Missiles with imaging IR seeker are not vulnerable to it, but may be vulnerable to DIRCM. Also, most missiles still use radar-based proximity fuze (including IRIS-T and MICA-IR); this fuze can be jammed, preventing missile from detonating at proper time. Radar missiles are also vulnerable to fuze jamming, as well as jamming their radar signal and defensive maneuvers designed to break radar lock or simply evade them; this plus the fact that they destroy surprise mean that they won’t be used. Thus dogfighting missile will be IRIS-T. BVR missile will be MICA IR, though alternative will be discussed later. Outlasting the enemy will be achieved in three ways: having a high fuel fraction, having a low drag during turning engagements by achieving equal or superior turn rate at lower angle of attack when compared to the opponent and having a powerful engine. Wing loading (or more precisely lift-to-weight ratio) has impact on drag, since aircraft with higher LWR does not need as high angle of attack for same turn rate; additions which improve lift, such as LERX and close-coupled canards are also useful in this regard. Close-coupled canards also reduce drag as smaller control surface deflections are required for same response by the aircraft when compared to identical configuration but without close-coupled canards. Lower drag will allow fighter to throttle back and keep outmaneuvering opponent while spending less fuel, thus increasing persistence even more than fuel fraction suggests, whereas higher fuel fraction allows fighter to outlast the opponent even if other characteristics (TWR and drag) are similar. “Go-home” range and loiter time of fighter are also highly sensitive to fuel fraction. While having a powerful engine might seem contradictory when it comes to reducing fuel expenditure, it is not so: afterburner uses fuel at rate several times higher than dry thrust, for maybe 50% increase in thrust. Thus fighter which can stay in dry power for duration of dogfight will usually outlast the opponent even if opponent has higher fuel fraction. Since fighter aircraft spend most of the time on the ground, where they are vulnerable to attacks, it will have to be able to fly from grass fields and dirt strips, as well as to be easy enough to maintain and supply so that depot-level maintenance is only rarely required, and regular maintenance can be carried out in mentioned open-field/road bases. This will prevent the opponent from neutralizing FLXs in one massive attack designed to close air bases for operation. Engine will be Eurojet EJ-230 in order to get as high as possible dry thrust-to-weight ratio; EJ-230 is also simple in design and thus more reliable and easier to maintain than M88, which was an original choice, and has superior supersonic performance. Specifically, EJ-200 has 3 first stage and 5 second stage fans, compared to 3 first stage and 6 second stage fans for the M88; despite it, it achieves thrust to weight ratio of 11:1, compared to 9:1 for original EJ-200, and 8,5:1 for M88. Another reason for EJ-200 series advantage in reliability over the M88 is its (albeit marginally) lower turbine temperature (1.800 K for EJ-200 vs 1.850 K for M88). M88 does have advantage over EJ200 when operating at subsonic speeds due to its lower bypass ratio of 0,3:1 vs 0,4:1 for EJ200, but EJ200 most likely reverses it at supersonic speeds, where this fighter is expected to spend most of its time. 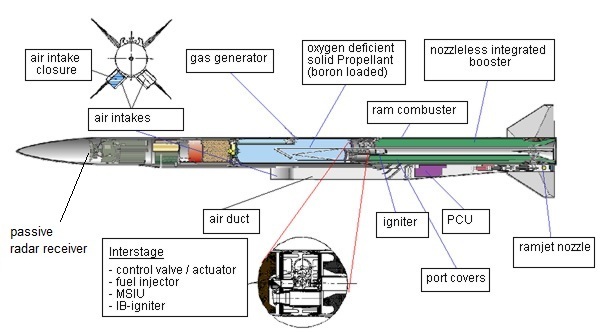 It will not have thrust vectoring nozzle as TVC offers no advantage for close-coupled canard configuration. Gun will be BK-27. For sensors, main sensor will be PIRATE IRST, with DDM-NG missile warners, radar warners and laser warners also being used. There will be no radar as it adds weight and complexity for a very limited value, and is mostly useless in combat. Air duct will be curved in order to hide engine face from radars, reducing RCS and allowing more time for EW/ECM suite to solve a firing solution. Airframe is Aluminium-Lithium, making it easier to carry out maintenance and repairs than it is the case with modern composite materials, while not incurring any weight penalty. Fuselage is of semimonocoque design (both skin and ribs are stressed), allowing it to withstand damage without too great risk of suffering a catastrophic loss of integrity. Canopy is opened and closed manually. Close-coupled canard configuration will improve maneuverability by increasing maximum lift during dogfight and also by moving center of lift forward, making aircraft unstable even at supersonic speeds (when most aircraft have their center of lift move backwards and render them stable). (IRST: InfraRed Search and Track; FCS: Flight Control System; APU: Auxilliary Power Unit; RWR: Radar Warning Receiver; ESM: Electronic Support Measures; ELINT: ELectronic INTellingence; MAWS: Missile Approach Warning System). (Thanks to vstol_jockey, an ex-Harrier pilot of the Indian Navy, for help with calculating aircraft’s weight and providing some of data used for calculations, notifying me that EJ-230 is ready for production if funded and telling me about Elbit Systems Spectrolite). Operational empty weight is assumed to be 200 kg above basic empty weight. Cost per kg is assumed to be identical to that of Rafale C (7.853 USD). This is a gross overestimation, since FLX does not use any radar-absorbent or radar-transparent materials, has no radar, and also has metallic airframe. Naval variant will weight 7% more than land variant or 3.464 kg empty. If cost per kg is assumed to be identical to that of Rafale M (8.140 USD), unit flyaway cost will be 28,2 million USD. Naval variant’s air-to-air combat weight will be 6.211 kg, resulting in wing loading of 244,7 kg/m2 and thrust-to-weight ratio of 1,69 (1,18 at dry thrust). In IEEE designation system, X-band radars are standard radars used for fire control radars for fighters. PAK FA however is equipped with L-band radar. VHF radars are not used on fighters but are used on some SAM emitters since they are more capable of detecting VLO aircraft. In order to increase sensitivity, RWRs will normally cover only L and X bands – former are only used on the PAK FA, but can be installed on Flanker family aircraft, while latter are used by every fighter aircraft with radar. In Flankers, L band radar proves to be a very interesting detection solution due to its variety of applications necessitating continuous emissions. These include search, track and missile MFU against radar-LO aircraft; IFF function; high-power active jamming of JTIDS/MTIDS/Link-16 emitters, satellite navigation receivers, L-band search radars (AWACS and surface based) and guided munition command datalinks. This means that L-band radar will be mostly continuously active, and these same functions are shared by Western X-band AESA radars. Its exact frequency coverage is between 1 and 1,5 GHz. Leading-edge L-band radar also has a poor sidelobe performance compared to X-band radar, allowing more opportunity for RWR to detect it. It also must be noted that increases in range and in angular coverage of radar also mean increases in emitted power as array gain drops off as angle between beam and radar plate increases. As a result, fixed-plate PESA/AESA designs can rarely use minimum power required for detection at certain distance. This problem is solved in swashplate AESA radars, but at cost of greater weight and complexity. Edit 30.11.2013. 12:14 Central European Time: As vstol jockey has noted after posting this article, FLX will be able to sustain a 9 G turn without using full dry power with air-to-air combat load, and will have low visual and IR signature due to less demand on thrust at any setting and payload. It will also have over 375 m/s climb rate and the fastest acceleration from M 0,9 to M 1,2 of any (fighter) aircraft in history, and he also fixed takeoff and landing distance values which I had originally based on Saab Gripen. Edit 26.12.2013. 14:48 Central European Time: Radar warning antennas will be located on fuselage in order to avoid reduction in precision due to aeroelastic twist of wings when turning. Problem with modern day BVR missiles is that they loose propulsion far before reaching the target, and even if target is close enough, they are too large, too heavy and too fast to hit an evading fighter-sized target. Thus alternative BVR missile will be IRIS-T WVR missile placed into a carrier vehicle. Best carrier vehicle is in-development BVR Meteor. MBDA Meteor has maximum range of 100 km (54 nm) at high altitude in straight line, or 250 km (135 nm) in ballistic path. IRIS-Ts maximum range of 25 km, flown in a straight line. While having Meteor carry IRIS-T may reduce its range to an extent that will not be offset by IRIS-T itself, its ability to hit enemy targets will be drastically improved – at maximum range, BVR missiles have lost energy and their ability to hit even an air liner is questionable; this missile in its primary stage however will not need to hit target itself, but simply to come close enough for IRIS-T to engage (<10 km). Length will be 5,14 m, and weight around 200 kg. It will offer a massive increase in both absolute and effective range over the MICA IR, while its passive seeker head, ramjet primary stage and usage of WVR IRIS-T missile for second stage will also be a large improvement over MBDA Meteor in terms of both surprise (Meteor destroys surprise with its active seeker head even if launched passively) and ability to kill evading targets. Only issue is cost, which is combined cost of IRIS-T, Meteor’s propulsion matrix and additional hardware required for successful integration; as a result, total cost may be anywhere between 2.000.000 and 2.500.000 USD, with both values being far in excess of any modern BVR missile intended to kill fighters (as opposed to AWACS-killer missiles, which theoretically at least might be even more expensive, and some of them have range of over 400 km, though they are even less capable of hitting fighters than “standard” BVR missiles). Its range of 250 km will allow it to be used against radar-using fighters before they become aware of the FLX’s presence, as well against AWACS, and unlike all modern BVR missiles, it will be effective against fighters across its entire range envelope, although large primary stage miss margins might reduce that effectiveness at longer ranges – secondary stage WVR missile will have to maneuver not only to counter target’s movement (including possible evasive maneuvers) but also to compensate for errors in first-stage maneuvering and errors in launch platform’s targeting. PIRATE IRST uses a Quantum Well Infrared Photodetector technology pioneered by Germany in the 1990s. Its range vs subsonic fighter-sized target at low altitude: 90 km head-on, 145 km tail-on. It can also be, theoretically at least, used for passive target ranging. Interferometric RWRs have accuracy of 1* or less, while legacy RWRs have accuracy of 15*. Since I could find neither MICA IR or IRIS-T seeker range, I have decided to use generic seeker range of 15 km. Reducing to 1/5 so as to avoid having missile turn too much, it would allow maximum theoretical range of 344 km with interferometric RWRs or 23 km with legacy RWRs. This difference explains why RWR firing solution generation feature wasn’t used until relatively recently. While it is unlikely that theoretical range noted will be usable in actual combat, maximum engagement range of 200-250 km (similar to Dassault Rafale) should be expected, allowing missile to be used at its maximum range. This missile will replace MICA IR in FLX’s loadout, and will provide for same loadout options. Its higher weight however means that FLXs BVR combat weight (50% fuel, 2 WVR AAM, 4 BVR AAM) will be 6.299 kg, for a wing loading of 248 kg/m2 and thrust-to-weight ratio of 1,67 in afterburner or 1,17 in dry thrust. Wing loading and TWR for dogfighting weight will stay the same since BVR missiles will have been fired by the time of the merge. In order to reduce missile’s complexity and thus cost, a replacement SFIR (solid-fuel integrated rocket) ramjet engine might warrant research. First missile, useful against both AWACS and fighters, will be ordinary MBDA Meteor but with passive seeker; range and cost will be same as that of Meteor, namely 250 km and ~2 million USD. Second missile will add AIM-54 propulsion section, increasing range to over 400 km and cost to between 2 and 3 million USD. Weight will likely be just below 600 kg. Seeker should be capable of both active and passive homing, going into active mode only if both uplink from launching platform and target’s signals are lost. This will also allow both missiles to be used against fighter aircraft, albeit with reduced effectiveness compared to the previously-discussed IR BVR missiles. For better survivability in a visual-range combat, FLX will use various camouflage patterns; some of these will be used to mask the aircraft, others to make opponent’s orientation relative to FLX more difficult and thus slow down or even break his OODA loop in dogfight (dazzle camouflage). However, effectiveness of any proposed camouflage patterns in their respective roles should be tested in live exercises before adoption. As shown before, measures of fighter aircraft effectiveness are: 1) achieving surprise bounces without being surprised, 2) outnumbering enemy in the air, 3) outmaneuvering the enemy, 4) obtaining reliable kills during any opportunity. Achieving surprise is done by 1) detecting and identifying hostile aircraft more accurately and consistently than the enemy and 2) denying that ability to the enemy. Big, expensive, easily detected weapons – be they P-38, Bismarck or F-105 – tend to become hunted rather than hunters. Outnumbering enemy in the air is done by 1) having fighters inexpensive enough for large number to be procured within the budget, 2) sufficiently simple to allow many sorties per day per aircraft. Outmaneuvering the enemy is done by 1) having better acceleration, decceleration, climb and turn capability, 2) transitioning from one maneuver to another faster, 3) having better fuel endurance than the enemy. Obtaining reliable kills is done by 1) identifying the enemy accurately, 2) having reliable enough weapon to achieve kills. Detecing and identifying hostile aircraft is dependant on sensors carried. However, only optical sensors – usually imaging IRST – can reliably identify the target. If enemy is unwise enough to use his radar, then radar warners can be used to both detect and identify him. Denying detection and identification ability to the enemy is dependant on having small visual, IR and EM signature. Visual signature depends on aircraft’s size, camouflage painting and smoke produced. IR signature depends on aircraft’s size, speed, engine power and setting. EM signature depends on wether aircraft is emitting any active signals – radar warner can detect enemy radar signals, and allso warn if the enemy has locked on the aircraft, which means impending missile launch, though not necessarily from the same direction as radar signal is coming from due to possibility of data-link usage. Data-links themselves can be detected, though probability of that happening is low when compared to detection of radar. In a 3D environment, number of bounces on the aircraft increases with a square of distance aircraft can be detected in (aircraft have altitude limits which are less than sensor range). Cruise speed is important for both of these actions: aircraft with lower cruise speed will have a hard time getting to the identification range, while aircraft with higher cruise speed will be able to both catch up with possible target to identify it, and if necessary attack it. Cruise speed will be defined as a speed which aircraft can hold for 20-30 minutes of the time it wants to spend in hostile airspace. Design of fighter determines both its production (flyaway) cost and sortie generating capability. Calculation for peacetime operations over one year is as follows: Force sorties / day = [ total $ / (unit $ + 360 sortie $ ) * sorties / day / plane]. However, in wartime calculation is Force sorties / day = aircraft procured for 1 billion USD * sorties / day / aircraft. Dollars will be adjusted to FY2013. Acceleration is dependant on thrust-to-drag ratio. As drag is partly determined by size, which itself determines weight, aircraft with higher thrust-to-weight ratio can be expected to have better acceleration values. This is not necessarily so, however, as aerodynamic configuration has a major impact on drag. Maximum turn rate is dependant on airframe g loading and lift-to-weight ratio. Lift-to-weight ratio itself is approximated through wing loading. High energy loss rate ecountered during maximum (instantaneous) turns is useful in turns intended to defeat missiles and guns or force the opponent to overshoot. However, aircraft also must be able to recover energy afterwards, necessitating a high thrust-to-weight ratio. Transient performance is in some situations even more important than standard turn performance. Aircraft can transit from one maneuver to another only by rolling and/or pitching. Thus roll and pitch rates can be used to compare transient performance. Unfortunately, normally measured roll rates are those at 1 g, which does not ensure roll performance during turns. Aircraft must achieve maximum unpredictability while retaining precise control and safety. Endurance is best approximated by fuel fraction. However, differences in fuel consumption rates can make estimates based solely on the fuel fraction inadequate – aircraft with low thrust-to-weight ratio will use afterburner more frequently than one with high thrust-to-weight ratio, thus reducing its expected endurance. Aircraft must also be able to obtain reliable kills from all ranges from unsafely close-in (near-collision) range to maximum range at which positive (visual or emissions) identification can be achieved. This depends on probability of kill, frequency of kill, number of on-board kills, vulnerability interval and surprise. Historically, all Pk estimates based on computer models have proven wrong. This means that only historical Pk values can be used. Rate of kill depends on probability of kill and time to kill; since modern weapons are fire-and-forget, time to kill depends on time to solve a firing solution. This time is 3-6 seconds for gun, ~5 seconds for IR missile and 10-15 seconds for a BVR missile. Number of on-board kills depends on amount and Pk of weapons carried. Vulnerability interval is a measure of how vulnerable aircraft is when using a certain weapon. Times much beyond 5 seconds are dangerous. Vulnerability of weapon to countermeasures affects kill probability. All weapons – guns and missiles alike – are vulnerable to hard turns. However, turns as well as other countermeasures depend on ability to detect the impending attack. Missiles with imaging IR seeker may be vulnerable to DIRCM, however it is not usually deployed on fighters. Radar missiles are vulnerable to seeker jamming and fuze jamming. With this basic outline done, following fighters will be compared in these measures: FLX, F-22, F-35, JAS-39C, Rafale C, EF-2000, Su-35 and PAK FA. While radar may have a very long range even at low power settings, radar warner always has advantage over the radar due to the square distance law – assuming that entire radar signal is deflected back to radar, radar that sent the signal will get the same return as a fighter four times as far away. But most of signal that reaches the target does not get returned: while a family car has an RCS of 100 m2, most modern fighter aircraft have RCS below 1 m2 for not much less than twice the surface. As a result, fighter will get 100 or more times as much energy as the amount that will return to radar at any particular distance; as normal RWR has a far smaller antenna than radar, this translates into a 2-3 times longer detection range. Radar also requires a lock on time, which is well in excess of 10 seconds even for cooperative target. This gives ample time for RWR to detect its signals and work out firing solution. As a result, primary ways to detect the enemies are passive, by detecting their emissions in radio, infrared or visual spectrum. In radio spectrum, using radar gives away aircraft’s position; this means that passive sensors designed to detect enemy emissions are becoming more and more important. All aircraft mentioned are equipped with radar warners; however, only Gripen, Rafale and FLX are known to use interferometric radar warners, which might give them an advantage over other fighters mentioned. This means that radar will not be used for detection. As a result, IRST becomes most important onboard sensor. FLX, Rafale, Typhoon, Su-35 and PAK FA have it, providing them with advantage over Gripen C and F-22 when it comes to detection range. It should be noted that using datalinks also gives away fighter’s position. To deny the detection, fighter aircraft must first be passive. In this area, aircraft with IRST have an advantage, though aircraft without it might use offboard sensors (which are then rendered vulnerable unless these sensors are passive) or simply use visual detection. As with all optical sensors, size of target plays a large role in modern QWIP IRSTs detection range. Due to this, F-22 may be detected at twice the distance FLX will get detected at, reversing theoretical advantage of radar stealth. Also to be noted is the fact that IR reduction measures cannot reduce detection range in a major way, since not only does skin heat but also air in front of, and around, the aircraft. This is especially a problem when supersonic. At supersonic speeds however, aircraft which can cruise without afterburner will have lower IR signature than ones which have to use it. Here FLX is at advantage in both cruise and combat since it has very powerful engine for its weight and size; other aircraft which can supercruise at dry thrust (Rafale, Typhoon, F-22, possibly PAK FA and Su-35) are still likely to use afterburner in combat, allowing unseen opponent (other than one they are attacking) to detect and target them more easily. There are several ways of identifying the aircraft (IFF identification) but only two reliable ways have been visual identification and identification of opponent’s radar emissions. Proliferation of LPI radars may make emissions ID more difficult, and even if it doesn’t, enemy will likely decide that giving up surprise is not a smart thing to do and thus cease any radar emissions. In such circumstances, only reliable way to sort friend from foe (IFF) is visual identification (visual ID or VID). This does not mean that two aircraft will have to close to less than 1.000 meters required for unassisted ID; visual and IR sensors capable of identifying type of aircraft at ranges that go to tens of kilometers exist and are in use; such sensors are PIRATE, OSF, OLS-35 and EOTS. Out of fighters being compared, only FLX, F-35, Rafale, EF-2000, Su-35 and PAK FA have imaging IRST. While capabilities of OLS-50 used on PAK FA are unknown, PIRATE used on FLX and EF-2000 has a slight detection range advantage over OSF (145/90 vs 130/80 km) and both have large advantage in detection range over the OLS-35 (90/50 km). Identification range for PIRATE is 40 km, with possibly up to 45 km for OSF. F-35s IRST is optimized for air-to-ground work and covers only lower area, resulting in questionable utility in air-to-air combat. To deny the identification, fighter aircraft has to be physically small and completely passive. FLX is the smallest fighter on the list, followed by Gripen, Rafale and Typhoon. Su-35 and F-22 are the largest aircraft and will be identified first, followed by PAK FA and F-35. Main source of active emissions on a fighter aircraft is radar. FLX, Rafale, Typhoon, Su-35, Pak Fa and F-35 all have IRST and thus do not need to use radar in combat (or in FLX’s case, even have it). F-22 and Gripen however will have to use radar comparably often, allowing more opportunity for enemy identifying them at very long range. All fighter aircraft except Rafale, F-22, F-35, PAK FA and FLX use radar-based MAWS. This however compromises their stealth since it is active system, and has short range against low RCS targets such as MANPADS; while it does provide distance, it can not provide actual position but only general direction of the missile and is very susceptible to false alarms. F-22 and PAK FA use UV MAWS. These systems are passive so they do not compromise aircraft’s stealth, but can only provide missile warning if missile’s engine is running; this makes them of limited utility against long-range missile shots when missile is flying on intertia alone. It is also not affected by liquid water. IR MAWS such as those in FLX, F-35 and Rafale have better detection range than UV systems at high altitude, but closer to the ground they tend to loose range due to increased atmospheric opaquity in regards to IR waves, caused by increased water content, atmospheric density and amount of atmospheric dust. They also have to separate IR clutter, causing high false alarm rate against surface to air missiles. Cruise speed, as a definition used here, is a speed that aircraft can keep for at least 20 minutes after discarding the fuel tanks. This requires either a very high fuel fraction (above 40%), avoiding usage of afterburner, or both. Due to its high fuel fraction, FLX can supercruise for well above 20 minutes, especially if external supersonic fuel tank is carried. Rafale can also likely keep supersonic for comparably long periods of time due to its high fuel fraction compared to many modern fighter aircraft (0,33) which however doesn’t approach that of FLX. F-22 has very low fuel fraction and added drag of weapons bays, however this is partly offset by greater efficiency of its engines at supersonic speeds. Force presence for fighters will be calculated for wartime situation, with calculation of force presence = aircraft for 1 billion USD * sorties / day / aircraft. FLX gives 1.000 / 25,4 * 3 = 117, F-22 1.000 / 273 * 0,5 = 1,5, F-35A 1.000 / 187 * 0,3 = 1,5, JAS-39C 1.000 / 33 * 2 = 60, Rafale C 1.000 / 75 * 2 = 26, EF-2000 1.000 / 130 * 2 = 14, Su-35 1.000 / 65 * 1 = 15 and PAK FA 1.000 / 100 * 0,7 = 7. Su-35 and PAK FA values are guesses. As it can be seen, FLX gives almost 2:1 force presence advantage over the next best aircraft, JAS-39C. Against F-22 and F-35, it has 78:1 force presence advantage, 16:1 against PAK FA, 8:1 against Typhoon, 7,8:1 against Su-35 and 4,5:1 against Rafale. It should be noted that Luftwaffe, despite having better aircraft, was unable to establish air superiority during battle of Kursk due to Soviet Air Force having 2:1 numerical advantage, and historically 3:1 was maximum where technological advantage could compensate for numerical disadvantage. Maneuvering performance consists of turning and transient performance and acceleration. Transient performance consists of pitch and roll performance (in particular, ability to start and stop pitch/roll rapidly as opposed to maximum pitch/roll figures); turning performance consists of instantaneous turn and sustained turn performance; acceleration performance consists of acceleration and decceleration (negative acceleration) performance. Turning performance is determined by g limit, lift to weight and thrust to drag ratios. Lift to weight ratio is approximated by wing loading, whereas thrust-to-drag ratio can be approximated, albeit not very accurately, through thrust-to-weight ratio. Values will be calculated in combat configuration of 4 BVRAAM and 2 WVRAAM + 50% fuel. In this configuration, values are 236 kg/m2 and 1,76 for FLX, 276 kg/m2 and 1,22 for Rafale C, 291 kg/m2 and 1,26 for Typhoon T2, 344 kg/m2 and 0,99 for Gripen C, 314 kg/m2 and 1,29 for F-22A, 428 kg/m2 and 1,07 for F-35A, 408 kg/m2 and 1,15 for Su-35, 312 kg/m2 and 1,22 for PAK FA. As it can be seen, FLX has a very large advantage over modern fighter aircraft in both instantaneous and sustained turn capability, regardless of wether maneuvering is done in horizontal or vertical plane. Advantage in sustained turn is increased by the fact that most fighters listed do not have close-coupled canards, necessitating higher angle of attack for the same turn rate, thus loosing energy faster. Close coupled canards also make fighters equipped with them more responsive to control surface inputs, improving roll and pitch performance; only fighters other than FLX equipped with them are Rafale and Gripen. Endurance, as noted, is highly sensitive to fuel fraction. In this area, FLX leads by a wide margin: it has a fuel fraction of 0,44 at air-to-air takeoff weight, whereas other fighters do not come close (Rafale C: 0,32; Typhoon T2: 0,29; Gripen C: 0,24; F-22: 0,28; F-35A: 0,37; Su-35: 0,37; PAK FA: 0,35). Its true advantage is even greater: since none of fighters listed have thrust-to-weight ratio at combat weight that is above 1 at dry thrust, let alone approaching FLX’s 1,23 value, FLX pilot can simply fight at military power at force the opponent to spend fuel by using afterburner. Fuel fraction of 30% is minimum required for useful combat endurance. At both beyond visual range and within visual range, obtaining reliable kills is dependant primarly on surprise. Thus aircraft which can obtain kills completely passively have an advantage. It should be noted that “completely passively” means no active sensor usage by either the platform, missile or other platform using the uplink to the missile. This means using either RWR or IRST to target the opponent. 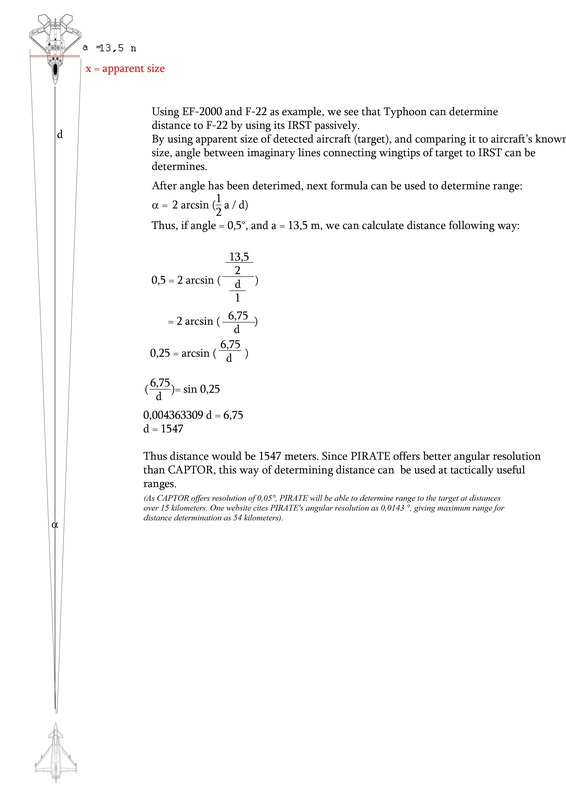 Using RWR for that requires RWR to use interferometric technology, providing accuracy of less than 1*. Many modern Western fighters have such technology, but only F-22 and Rafale (to my knowledge) can attack targets without help from other sensors. FLX will also offer this capability, endangering any aircraft that relies too much on its radar. Completely passive attack capability will be improved by usage of IRST, allowing FLX to attack even passive targets. While IRST is more range-limited compared to the RWR, it will still bring all other fighters at disadvantage due to FLX’s low IR signature and ability to match or exceed other fighters’ maneuvering capability without using the afterburner which will increase this difference even more. Using dual-stage BVR missile will also offer improvement in otherwise meager BVR missiles’ probability of kill. Further, usage of RWR and IRST as primary BVR sensors will mean that one of bottlenecks in BVR combat – identifying the enemy accurately – will be mostly done away with. Due to shorter lock-on time of IR missiles, they will also offer increased frequency of kill compared to the radar-guided missiles and reduced vulnerability interval of the FLX itself. Only other fighter aircraft with similar passive attack capabilities is larger and more detectable Dassault Rafale. In beyond visual range combat Flanker variants will have advantage in number of missiles carried. Number of missiles in a salvo has influence on kill probability; US fighters in Vietnam usually launched 2-4 missiles in a salvo for per-missile Pk of 8%. Assuming 10% Pk per missile, kill probability of a 3-missile salvo is 0,1 + 0,1*(1-0,1) + 0,1*(1-0,1-0,1*(1-0,1)) = 0,1 + 0,09 + 0,081 = 0,271, of a 4-missile salvo is 0,1 + 0,09 + 0,081 + 0,1*(1-0,1-0,09-0,081) = 0,1 + 0,09 + 0,081 + 0,0729 = 0,34 and of a 2-missile salvo is 0,1+0,09 = 0,19. Russian Flankers fire a standard of a 3- or 4-missile salvo, and Western fighters carry more missiles than they did in Vietnam so 4-missile BVR salvo may become standard against a competent opponent for them too. Standard number of BVR missiles is 4 for FLX, Gripen, and F-35, 6 for Rafale, Typhoon and PAK FA, 8 for F-22 and 12 for Su-35. This means 1 4-missile salvo for FLX, Gripen and F-35 for a total BVR missile Pk of 34%, 2 3-missile salvos for Rafale, Typhoon and Pak Fa for a total BVR missile Pk of 54%, 2 4-missile salvos for F-22 for a total Pk of 0,68 and either 4 3-missile salvos with total Pk of 108% or 3 4-missile salvos with total Pk of 102% for Su-35. This is a one-on-one comparision, and also ignores missiles’ kinematic performance and factor of surprise. Another point is that while APG-79 or APG-81 can jam Su-35’s radar, to do so they surrender frequency agility, becoming an easy target for anti-radiation missiles. This is true for any jammer, however using an off-board towed jammer rectifies this disadvantage. It should also be noted that aircraft’s kinematic performance has a major impact on BVR missile kill probability. Thus supercruising fighters such as F-22, Rafale, Typhoon, FLX and Su-35 will have advantage in BVR combat against subsonic fighters such as F-35 or Gripen C.
As noted before, rate of kill depends on probability of kill and time to kill; since modern weapons are fire-and-forget, rate to kill depends on time to solve a firing solution. This time is 3-6 seconds for gun, ~5 seconds for IR missile and 10-15 seconds for a radar-guided missile. Radar itself needs to first find the target, then settle and lock on, before allowing missile to be launched. This process can be interrupted or prolonged by target initiating defensive maneuvers, electronic countermeasures, or launching an attack itself. Passive sensors do not have these problems, and thus provide greater number of actual firing opportunities. Thus in beyond visual range combat, FLX and Rafale have advantage over most other fighters due to combination of interferometric RWRs, IRST and IR BVR missile. In a visual-range combat, there are likely no major differences between missile lock-on times, with a caveat that “stealth” fighters require missile bay launch doors to open, prolonging the time between lock on and missile launch by up to several seconds. However, while gattling cannons used on US designs require half a second to achieve full rate of fire, Russian and European designs achieve it nearly instantaneously. Stealth fighters (F-22, F-35, PAK FA) also require gun doors to open, prolonging that time and adding a delay between pilot pressing the trigger and first projectile leaving the barrell. Vulnerability interval is counted as time from firing opportunity to breakaway, during which fighter is more vulnerable to being attacked. For guns it is 3-6 seconds, 5-7 seconds for IR missile, and 10-15 seconds for radar-guided missiles. Maximum allowable time is 7-9 seconds, which means that radar-guided missiles fall well outside danger limit. This scenario will approximate performance in combat of Western aircraft listed against Chinese Flankers; scenario itself is taken from a 2008 RAND study, and will involve cost-equal number of aircraft without regard for their sortie rates. Baseline number will be 76 Su-30MKKs that PLAAF has; at 40 million USD each, total cost is 3 billion USD, allowing for procurement of 11 F-22s, 16 F-35s, 90 JAS-39Cs, 40 Rafale Cs, 22 Typhoons or 118 FLXs. Blue fighters cannot run since doing so would result in tankers being shot down and them being forced to land on Taiwan, whose bases have been destroyed in opening missile barrage; Red fighters can only run if faced by F-35A or JAS-39C, but will not do so until casualties reach 80%. Pk per salvo will be assumed as in section above, 0,19 for a 2-missile salvo, 0,271 for a 3-missile salvo and 0,34 for a 4-missile salvo with BVR missiles plus 0,15 per WVR missile, whereas gun fight will be assumed to result in 1 for 1 exchange ratio. Stealth fighters will get the first shot against Su-30MKKs, while Su-30s will be given the first shot against everything else regardless of sensors, defense suites and RCS, as this scenario tests assumption that very small numbers of stealth fighters can win against hugely superior numbers of non-stealth fighters better than non-stealth fighters. FLX will have two different scenarios, one without and one with centerline missile rail. 76 Su-30s engage 11 F-22s. F-22s fire 66 BVR missiles in 22 3-missile salvos. 6 Su-30s killed. 70 Su-30s proceed and fire 140 3-missile salvos. 11 F-22s killed. Casualties: 6 Su-30, 11 F-22. 70 Su-30s remaining. Red Air victory. 76 Su-30s engage 16 F-35s. F-35s fire 64 BVR missiles in 16 4-missile salvos. 5 Su-30s killed. 71 Su-30s proceed and fire 142 3-missile salvos. 16 F-35s killed. Casualties: 5 Su-30, 16 F-35. 71 Su-30s remaining. Red Air victory. 76 Su-30s engage 90 JAS-39Cs. Su-30s fire 152 3-missile salvos. 41 JAS-39 killed. 49 JAS-39s proceed and fire 49 4-missile salvos. 17 Su-30s killed. 61 Su-30s fire 244 WVR missiles. 37 JAS-39s killed. 61 Su-30s engage 12 JAS-39s in gun fight. 12 Su-30s and 12 JAS-39s lost. Casualties: 29 Su-30, 90 JAS-39. 47 Su-30 remaining. Red Air victory. 76 Su-30s engage 40 Rafale Cs. Su-30s fire 152 3-missile salvos. 40 Rafale Cs killed. Casualties: 0 Su-30, 40 Rafale C. 76 Su-30 remaining. Red Air victory. 76 Su-30s engage 22 Typhoons. Su-30s fire 152 3-missile salvos. 22 Typhoons killed. Casualties: 0 Su-30, 22 Typhoons. 76 Su-30 remaining. Red Air victory. 76 Su-30s engage 118 FLXs. Su-30s fire 152 3-missile salvos. 41 FLX killed. 77 FLXs proceed and fire 77 4-missile salvos. 26 Su-30s killed. 50 Su-30s fire 200 WVR missiles. 30 FLXs killed. 47 FLXs proceed and fire 94 WVR missiles. 14 Su-30s killed. 36 Su-30s engage 47 FLXs in gun combat. 36 Su-30s and 36 FLXs lost. Casualties: 76 Su-30, 107 FLX. 11 FLXs remaining. Blue Air victory. 76 Su-30s engage 118 FLXs. Su-30s fire 152 3-missile salvos. 41 FLX killed. 77 FLXs proceed and fire 154 3-missile salvos. 42 Su-30s killed. 34 Su-30s fire 136 WVR missiles. 20 FLXs killed. 57 FLXs fire 114 WVR missiles. 17 Su-30s killed. 17 Su-30s and 57 FLXs engage in gun combat. 17 Su-30s and 17 FLXs lost. Casualties: 76 Su-30s, 78 FLXs. 40 FLXs remaining. Blue Air victory. In second scenario, a more realistic situation will be adopted with fighters staying passive; this means that Su-30MKK gets a first shot against F-22, F-35 and Gripen, but not against Rafale, Typhoon and FLX. 76 Su-30s engage 11 F-22s. 76 Su-30s fire 152 3-missile salvos. 11 F-22s lost. Casualties: 0 Su-30, 11 F-22. 76 Su-30 remaining. Red Air victory. 76 Su-30s engage 16 F-35s. 76 Su-30s fire 152 3-missile salvos. 16 F-35s lost. Casualties: 0 Su-30, 16 F-35. 76 Su-30 remaining. Red Air victory. 76 Su-30s engage 40 Rafale Cs. Rafales fire 80 3-missile salvos. 22 Su-30s lost. 54 Su-30s proceed and fire 108 3-missile salvos. 29 Rafales lost. 11 Rafales proceed and fire 22 WVR missiles. 3 Su-30s lost. 51 Su-30s proceed and fire 204 WVR missiles. 11 Rafales lost. Casualties: 25 Su-30, 40 Rafale. 51 Su-30 remaining. Red Air victory. 76 Su-30s engage 22 Typhoons. Typhoons fire 44 3-missile salvos. 12 Su-30s lost. 64 Su-30s proceed and fire 128 3-missile salvos. 22 Typhoons lost. Casualties: 12 Su-30, 22 Typhoon. 64 Su-30 remaining. Red Air victory. 76 Su-30s engage 118 FLXs. FLXs fire 118 4-missile salvos. 40 Su-30s lost. 36 Su-30s proceed and fire 152 3-missile salvos. 41 FLXs lost. 77 FLXs fire 154 WVR missiles. 23 Su-30s lost. 13 Su-30s fire 52 WVR missiles. 8 FLXs lost. 13 Su-30s engage 69 FLXs in gun fight. 13 Su-30s and 13 FLXs lost. Casualties: 76 Su-30 and 56 FLX. 62 FLX remaining. Blue Air victory. 76 Su-30s engage 118 FLXs. FLXs fire 236 3-missile salvos. 64 Su-30s lost. 12 Su-30s proceed and fire 24 3-missile salvos. 6 FLXs lost. 112 FLXs fire 224 WVR missiles. 12 Su-30s lost. Casualties: 76 Su-30 and 6 FLX. 112 FLX remaining. Blue Air victory. Few lessons can be seen from these scenarios. FLX was the only Western fighter that was capable of consistently winning against Su-30s regardless of which side got the advantage of the first shot. Second, number of missiles carried by the force (as opposed by the individual aircraft) was a large driver of success or failure at beyond visual range combat, to the point that addition of two missiles to the FLX (a 50% increase in BVR missile capacity) caused a large reduction of casualties in both scenarios (up to 92% reduction). Third, a side which has the first shot holds advantage. In real world scenario, this requires passive sensors and low IR signature, with low radar signature being inconsequential in comparision since using radar allows enemy to engage radar-using fighter at extreme distances. It should also be noted that differences in RCS and EW suites would likely result in Su-30 having a second shot against F-22, F-35, Gripen, Rafale, Typhoon and FLX even if radars are used. Fuel requirements comparision will be made on basis of 30 minutes on station + 2 minutes of combat, and will only include internal fuel. European theatre requires unrefuelled combat radius of 400 nm or 741 km. USAF centers Pacific combat around defense of Taiwan strait. Distances of USAF air bases to Taiwan strait are 460 nm (Kadena), 785 nm (Kunsan), 845 nm (Osan), 885 nm (Iwakuni), 1.230 nm (Yakota) and 1.565 nm (Anderson). Thus minimum combat radius to make half of these air bases viable is 850 nm or 1.574 km. FLX has sufficient thrust-to-weight ratio to spend entire combat on dry thrust, consuming 190 kg of fuel. 30 minutes on station requires 619 kg of fuel. This leaves 2.590 kg of fuel for flight to and from the combat zone. Reducing to 2.400 kg gives 2.049 km combat radius. This means that FLX is fully suitable for both European and Pacific theatres. F-18E has a combat radius in required circumstances of 1.050 km. Thus F-18E is suitable for European, but not the Pacific theatre. F-22s combat radius is no more than 1.100 km at subsonic cruise, possibly even lower, making it unsuitable for Pacific theatre even before combat is taken into account. FLX or FLX-like design would be the first time that a truly revolutionary design appeared since the Me-262. Such thing unfortunately is not likely to happen as long as Western fighters keep being designed by technologists and generals, as opposed to pilots and historians. This entry was posted on November 30, 2013 at 6:55 am	and is filed under Uncategorized. Tagged: air superiority, fighter, proposal. You can follow any responses to this entry through the RSS 2.0 feed. You can leave a response, or trackback from your own site. – Spitire Mk1a, Mk2 used 8 x .303 Brownings not 6. – Spitfire Mk 2b, Vb, VIII, IXb and c all used 2 x 20mm Hispanos as stated but 4 x .303 Brownings, not 4 x .50 cals. Towards the end of the war, some Spitfires were equipped with 2 x 20mm and 2 x .50 cals. Sounds like a very pedantic quibble but if technical details such as this which are comparatively well known are obviously wrong then it detracts from the credibility of the detailed aerodynamic and technical figures and analysis laid out in the main body of the article. Mark I Spitfire had 4 .303 Browning machine guns, Mark Ia was follow-up to Mark I and it had 8 .303 machine guns. Spitfire Mk.IX had .50 cal guns and it appeared in early 1942. Mk IXc had 2×20 mm cannons and 4 .50 cal MG.
Wrong about the Mk.1! All Mk.1’s apart from the abortive Mk.1b (the first to feature 2 x 20mm cannons and 4 x .303s) were delivered with 8 x .303 brownings. Even the prototype Spitfire K5054 was fitted with a wing containing 8 x .303 Browning guns in 1936. This was standard until the introduction of the 20mm + 4 x .303 with the Mk.1b, Mk.IIb etc. Spitifre Mk.IX had 2 x 20mm and 4 x .303 until the Mk.IXe which featured 2 x .50 cals and 2 x 20mm cannons. This was standard ‘e’ wing armament fit and fairly common from 1943 onwards. letter suffixes denote ‘a’ = 8 x .303 brownings, ‘b’ denotes 2 x 20mm cannons, 4 x .303s, ‘c’ denotes 4 x 20mm cannons, ‘e’ denotes 2 x 20mms and 2 x .50 cals. Justin, your comment is well received and appreciated for its exactitude but I think the point is that the aircraft was being up-gunned as experience showed the original armament was not as effective. I think that is the overriding message. Yes, Spitfires were indeed always *intended* to have eight Browning machine guns but first deliveries were made with only four guns installed due to shortages of parts. Some of the early aircraft were also delivered without any armor protection.